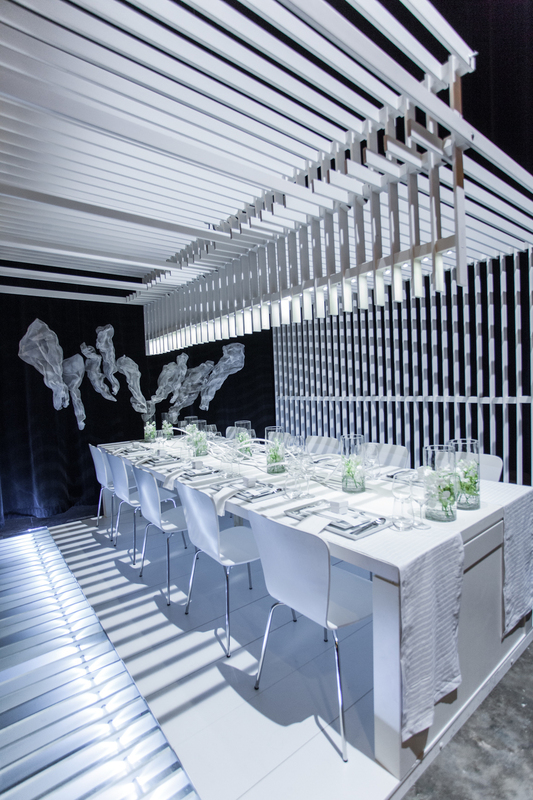 FNDA's LightxShadow concept at Dinner by Design '14. FNDA at the '14 Dinner by Design cocktail party. On the heels of the last photo blog showcasing FNDA’s Ottawa Jamatkhana, the editor at Simerg Photos approached FNDA about featuring the Ismaili Centre Jamatkhana in Dushanbe, Tajikistan in his latest blog. You can read the full blog post and see the photo essay here. Farouk Noormohamed will present at BUILDEX Vancouver tomorrow (February 19th) on the topic of Architecture and Local Heritage: Design Solutions in Harmony with Place. His session will discuss how to build successful buildings by embracing local materials, techniques and architectural traditions. The discussion will also contemplate the importance of understanding the historical and cultural influences in developing relevant design solutions that match tradition with modernity. For more information, or to register, please visit the BUILDEX Vancouver site. In case you missed it, this past Thursday, September 12th, FNDA’s Rosebery Residence was featured on CityTV Vancouver's Breakfast Television as part of The Vancouver Modern Home Tour. If you would like to watch the segment we were featured on, please see the links below. Organize and file materials such as drawings, proposals, correspondence, publications, contact information, etc. FNDA is pleased to announce the firm was awarded a 2013 Northwest Design Award for their project ‘Seymour Residence’. The firm finished first in the Best Individual Room: Contemporary Category.